LYNN CENTER, Ill. -- Margot L. Renihan, of Lynn Center, Ill., died Wednesday, Sept. 8, 2004, at her home from complications of ovarian cancer. Funeral services are 10:30 a.m. Monday at Trimble Funeral and Cremation Center, Coal Valley. Burial is in Western Township Cemetery, Orion, Ill. Visitation is 2 to 5 p.m. Sunday at the funeral home. Memorials may be made to the American Cancer Society or Pathway Hospice. Margot Louise was born Sept. 28, 1944, in Moline, to Milburn and Marian Thompson Oberlander. She married Terry Renihan July 9, 1966, in Moline. 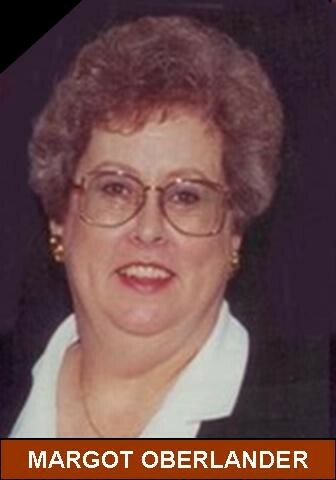 Margot was a graduate of Moline High School and was a homemaker until 1985 when she began working as a clerk at the Rock Island Arsenal, where she had worked in earlier years. She retired in August 1998 as a lead clerk. She was a past president of the Orion PTA and served in many capacities of that organization for many years. She was a member of the Quad City Basket Guild and the Red Hat Society, Class Hats of '62. She enjoyed her hobby of basket weaving. Survivors include her husband, Terry; two sons and their wives, Todd and Renae Renihan, of Vernon Hills, and Brad and Niki Renihan, of New Freedom, Pa.; three granddaughters, Mackenzie, Madison and Morgan Renihan, of Vernon Hills; a twin sister, Marcia Skinner, of LaPorte, Ind. ; two nieces; a great-niece; three great-nephews; and an aunt and uncle, Helen and Carl Kramer, of Moline. She was preceded in death by her mother in December 2003. Remembrances and condolences may be shared with the family at www.TrimbleFuneralHomes.com. Was there anyone nicer and more fun than our Margot?........so many wonderful memories of her. She will always be remembered fondly.